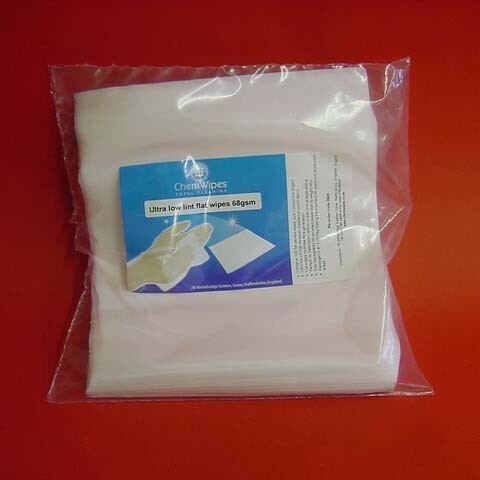 Theses wipes are flat packed in anti static bags for use in cleanrooms, electronic production , optical manufacturing and silicone wafer areas. The ultra low lint fabric makes them particularly suitable for more criical and demanding applications, the anti-static outer pouch enables the wipes to be taken safely into electronic production areas without generating harmful static. The cut edges of this wipe offer very low fibre generation when compared to the more traditional perforated edge.